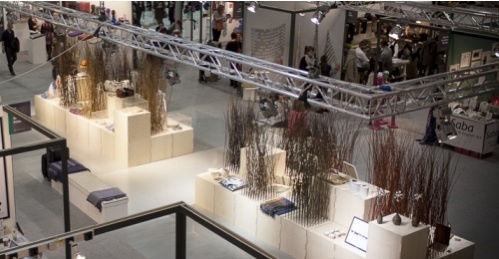 Showcase 2014 features the best of Irish design with products from over 400 exhibitors. Ideally you would need two or three days to go around and see it all. Although I had only one day to get to it this year I had done my homework before going and had pinpointed the people I absolutely wanted to meet. It is always a real treat to attend the show as the choice and variety of Irish-made products is outstanding. I went to it on the opening day with fellow designer and fashionista Naomi who has a great eye for spotting the unusual and the quirky. We stopped at the stands of some of the makers that I stock in Handmade Design Studio such as ArtySmarty creator Angela Cutlhill, Matt Jones, Sarah Mc Kenna, Orla Barry, Blaithin Ennis among others. I discovered their exciting and on trend new collections and cannot wait to receive them in the shop. I also met some really interesting and friendly new craftmakers whom I had not metbefore and was truly inspired by their unique products. If you are ever coming to Mullingar, come and have a peek!